EK Water Blocks, the European premium water cooling gear manufacturer, is proud to introduce a new portfolio of Quantum Line terminals for multiple EK-Vector series water block connectivity. The new design is a perfect extension of the Quantum design language that gracefully fits the EK-Vector GPU water blocks. These terminals are compatible with the aesthetic terminal covers on newly released EK-Vector GPU blocks. All EK-Scalar Quantum Line terminals feature parallel flow design, apart from the Quad-GPU terminal which uses semi-parallel coolant flow distribution. The design is minimalistic without any logo or engraving, the EK branding is shown via the Quantum design language. The Dual, Triple and Quad in the naming scheme show for how many GPU’s it is intended for – two, three or four. The 2-slot, 3-slot, 4-slot designation shows how many slots of separation is between GPUs. 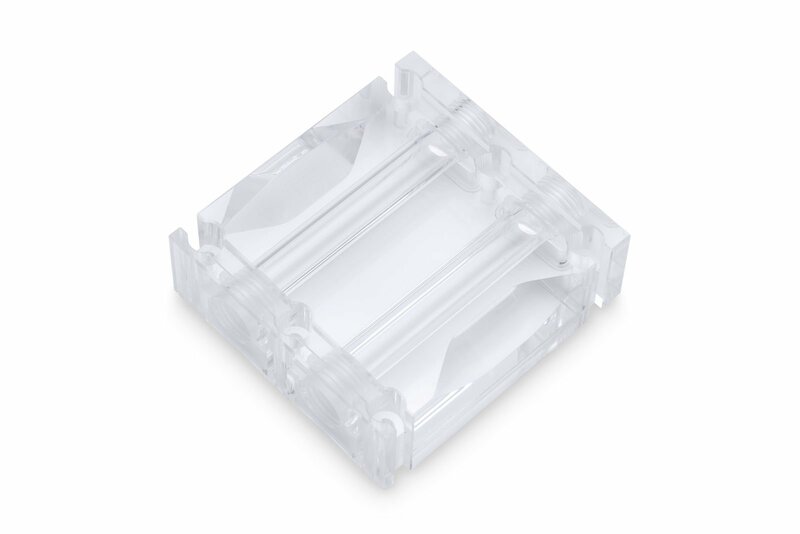 As usual, both Acetal and Plexi versions of the terminals are available providing the user with a broad choice to cover their specific need or desire. 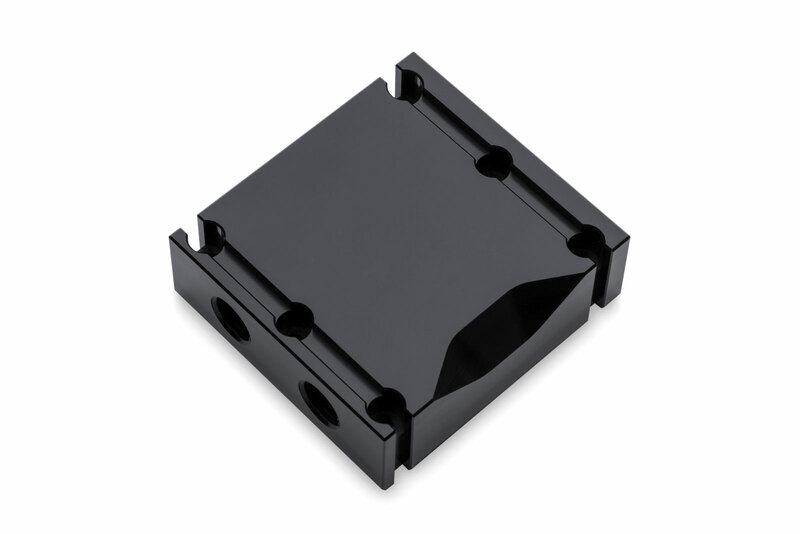 The black terminals are CNC machined from a solid piece of high-quality POM Acetal material, while the Plexi version uses CNC machined acrylic and the externals are machine-polished to a high-gloss finish. The EK-Scalar terminals offer two inlet holes on both sides enable the user to pick the Inlet / Outlet scenario that suits him best. They feature industry standard G1/4″ threaded ports and if someone dislikes the new aesthetic terminal covers on the EK-Vector series GPU water blocks, you can just remove them, and use the terminals in the same manner. Before installation, be sure to read the user manual for proper port connection. To avoid cracking your EK Plexi full cover water block, use only 0.5 – 0.7 Nm of torque force on the terminal screws. Do not use excessive force while fastening the terminal to the water block itself! EK-Scalar multi GPU connection terminals are reverse compatible with all EK-FC series water blocks. Simply use the provided screws for mounting. EK-Scalar multi GPU terminals are made in Slovenia, Europe and are available for purchase through the EK Webshop and Partner Reseller Network. In the table below you can see manufacturer suggested retail price (MSRP) with VAT included. EK-Scalar Dual 2-slot – Plexi 29.90€ Order now! 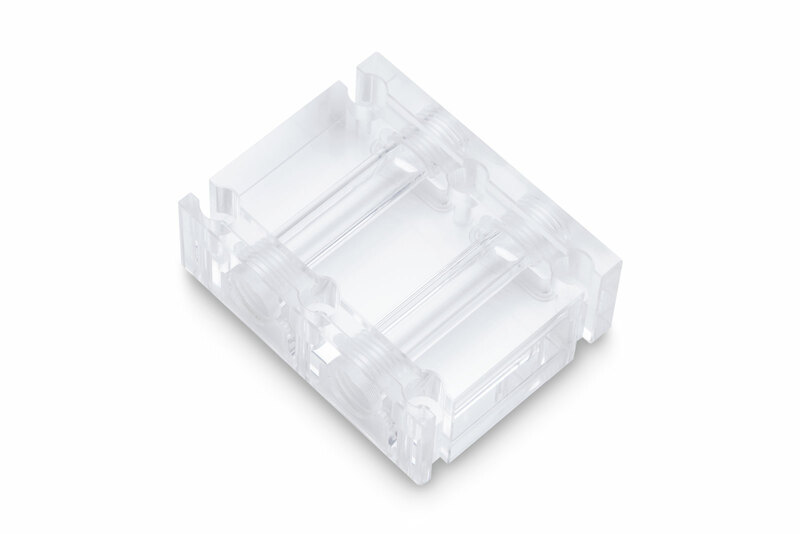 EK-Scalar Dual 2-slot – Acetal 27.90€ Order now! EK-Scalar Dual 3-slot – Plexi 39.90€ Order now! EK-Scalar Dual 3-slot – Acetal 37.90€ Order now! EK-Scalar Dual 4-slot – Plexi 44.90€ Order now! 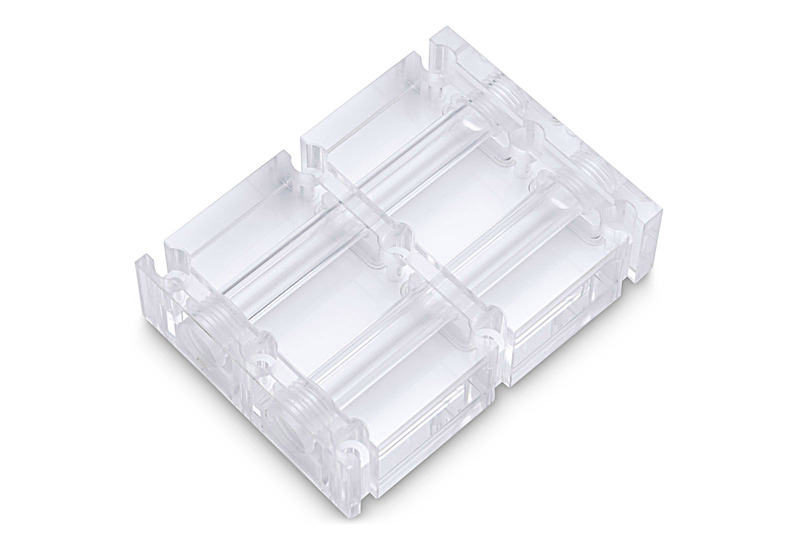 EK-Scalar Dual 4-slot – Acetal 42.90€ Order now! EK-Scalar Triple 2-slot – Plexi 44.90€ Order now! 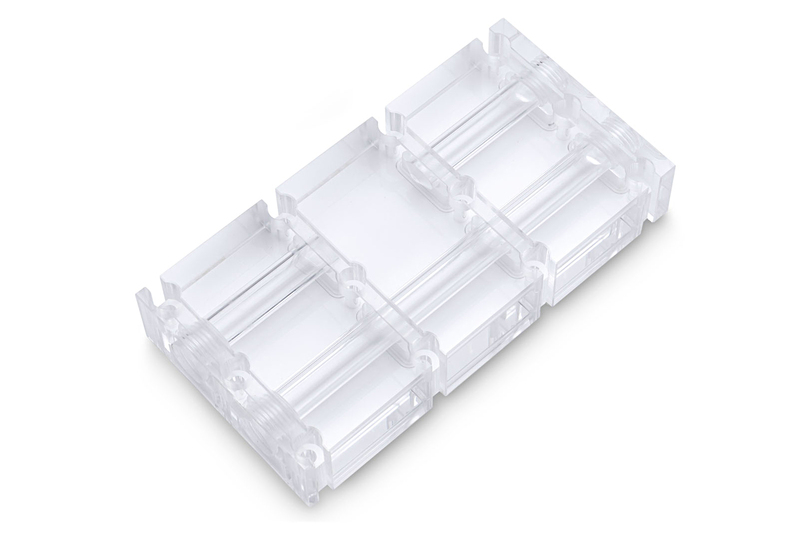 EK-Scalar Triple 2-slot – Acetal 44.90€ Order now! EK-Scalar Quad 2-slot – Plexi 54.90€ Order now! EK-Scalar Quad 2-slot – Acetal 52.90€ Order now!